The CP-3800 GC from Varian—unlimited possibilities! The Varian CP-3800 GC meets all your analytical requirements with practical solutions for simple and complex applications. In a standard configuration, the CP-3800 accommodates up to three injectors and three detectors, all operating simultaneously. In addition, the CP-3800 is easily configured to perform on-line analyses for monitoring critical gas and liquid process streams. The CP-3800’s flexible platform lets you start with a basic configuration and add a wide variety of options in the field. Options include additional channels, gas and liquid sampling valves, and external sampling devices. Future upgrades guarantee that you can meet changing requirements at a moment’s notice. 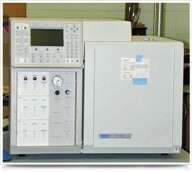 Unleash the full potential of the CP-3800 GC with the Galaxie Chromatography Data System. Galaxie dramatically improves daily workflow with intuitive, easy-to-use graphical interfaces for instrument control, data acquisition, processing, and standard and custom reporting. From a simple stand-alone GC system, to an automated Simulated Distillation package, the CP-3800 GC with Galaxie provides a powerful solution to all of your GC analytical needs. The CP-3800 GC from Varian—unlimited possibilities! I need the recommended operating condition to analyze natural gas for the presence of H2S gas and other mercaptan gaseos RCH using the PFPD detector. The temperature on the front injector drops exponentially when the equipment ramps down and equilibrates to its set parameters. I get a message saying that the temp probe is too low. Any ideas why this might be happening and the fix?